After the first two weeks of the Welsh Regional Championship, Cardiff Blues lead the way. Five regional representative teams play in the Welsh Regional Championship, traditionally played at the start of the season and this year timetabled to be played over five back-to-back weekends in September and October. Last year’s champions Ospreys are joined by Scarlets (three times champions from 2014 to 2017), Cardiff Blues , Dragons, and RGC (Rygbi Gogledd Cymru) who represent North Wales and just missed out on the championship last year, in their first year. This year Cardiff Blue lead the way with two wins, but the champions are also well placed having sat out the first week before comfortably beating the Dragons last weekend. The Scarlets got off to a winning start in first weekend RGC thanks to two tries from Olympian Jasmine Joyce and the deadly boot of Lleucu George. The game, held at Sardis Road, Pontypridd on Sunday was a hard fought affair that went right to the wire. Joyce, playing at fullback, opened the scoring when she scythed through the RGC defensive line and out-paced the cover defence in her 60m run to the line to score under the cross-bar. Outside half Lleucu George adding the extras. Ten minutes later the speedster repeated the feat as she broke several tackles to cross the line wide out to give the Scarlets a 12-0 lead as this time George pulled her kick wide of the uprights. 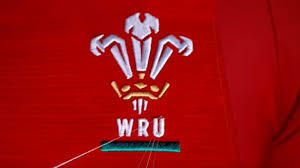 The powerful running of the North Walian pack began to pay dividends as the half wore on, and RGC were duly rewarded when a smart blind side move saw the ball reach fullback Jess Kavanagh-Williams who showed outstanding pace and strength to ground the ball under the crossbar. RGC maintained their forward momentum from the off. The powerful running of Teleri Davies and Gwenllian Prys kept them on the front foot, and their territorial dominance paid dividends when from a quickly taken tap penalty, Wales prop Prys crashed over the line taking several defenders with her to bring her team within two points of their opponents. Outside half Iona Evans held her nerve to tie the scores at 12-12 with barely 10 minutes of the game remaining. With the game seemingly destined for a draw, the Scarlets had one more opportunity to secure the victory when the RGC pack were penalised at the scrum in their own 22. George stepped up, showed a cool head to slot the penalty and secure a hard fought win for the team from West Wales. In the earlier game, tries by Danyelle di'Napoli and Joanne Jones in the first half put Cardiff Blues on the front foot against the Dragons as their 12-0 halftime lead was converted into a 24-5 fulltime victory. Last weekend the deadly spell of finishing by Rafike Taylor gave Cardiff Blues their second win. Taylor's top end speed proved too hot to handle for the Scarlets in the first spell as the speedster sizzled over for a hat-trick in a 17-minute period to give the Blues a comfortable 17-0 lead at the break. The West Wales team shrugged off their malaise which held them back in the first half and launched into the Blues with renewed vigour in the second spell. Two tries for impressive young winger, Caitlin Lewis, brought the Scarlets right back into the game. The Scarlets tied the scores thanks to international flanker, Nia Elen Davies who was on hand to round of a flowing move to score near the posts. Jodie Evans adding the extra points to leave the match delicately poised. The Scarlets kept on the front foot and when a penalty was awarded at the breakdown, Evan's stepped up to coolly strike the ball between the uprights to give the West Walian team the lead with barley eight minutes left on the clock. But the Scarlets failed to secure the ball from the restart to give the excellent Blues one final opportunity. Some great work from replacement scrum half, Joanne Jones saw the ball move along the line finally reaching full back Angharad de Smet, who cut a great angle to slice through the Reds defence and score under the cross bar, Robyn Wilkins adding the extras, giving her team a deserved 24-20 victory. Blues vice-captain, Liliana Podapec, was delighted with the victory which left her side the only undefeated team in the championship after two rounds. "In the second half the Scarlets came out a different team but we fought back well in the last five minutes and I felt we deserved the win," she said. "We've come together well in the last nine weeks and it's been a great environment and we've come so far. I've loved every moment of the games so far and can't wait for the next game." Head coach of the Scarlets, Daryl Morgan, admitted his side paid dearly for a lack lustre first half performance. "I'm really pleased with the way the team responded in the second half, they showed loads of resolve and determination but ultimately we can't afford to give teams the start that we did, especially next Sunday when we take on the Ospreys in St Helens," he said. The Ospreys kicked their season off in brilliant style running in nine tries against the Dragons with Wales duo Siwan Lillicrap and Mel Clay leading the way with a hat-trick and brace of tries respectively. Robyn Lock, Carys Phillips, Keira Bevan and Ffion Bowen touched down as well as the Dragons were brushed aside 53-5. Centre Carys Cox converted an overlap to score for the Dragons to stop the rot momentarily in the second half, but the Ospreys were in no mood for mercy and continued their onslaught to record a convincing victory.